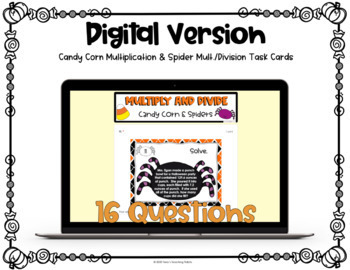 This pack contains several decimal activities with Halloween themes. It is ideal for 5th grade, but can be used as a 4th grade enrichment activity, or review for 6th graders. 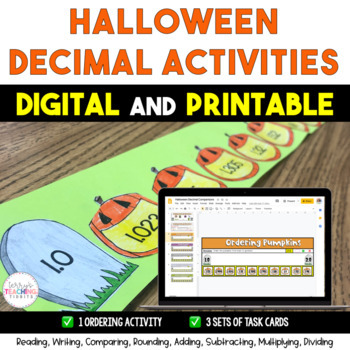 Included is a decimal ordering activity, as well as 3 separate groups of task cards for writing, rounding, adding, subtracting, multiplying, and dividing decimals. 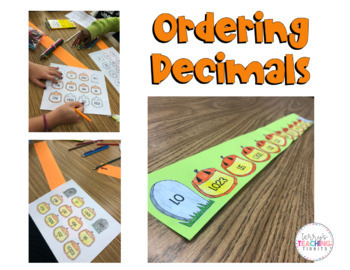 Students will color, cut, and order several decimal pumpkins onto a sentence strip. 5.NBT.3b. Compare two decimals to thousandths based on meanings of the digits in each place, using >, =, and < symbols to record the results of comparisons. 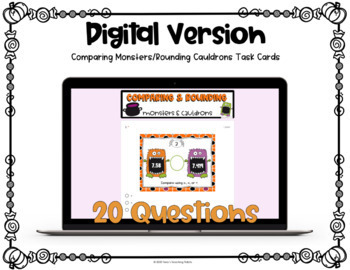 ***Set task cards around the room and have students rotate around to complete each one.I have included a second version (#2) of the student answer sheet of this set to have more advanced students complete the rounding task cards by rounding to EVERY place value. © 2016 Terry’s Teaching Tidbits. All products purchased from © Terry’s Teaching Tidbits are intended for single classroom use only. The reproduction of any part of this or any other product by © Terry’s Teaching Tidbits is strictly prohibited. Copying any part of this (or any) product in any form (even on a personal or classroom website) is strictly forbidden. Doing so is in violation of the Digital Millennium Copyright Act (DCMA).